Some of the top comments in GTA Online videos is for Story DLC and online vehicles in Story Mode. They still haven't done it lol. If it doesn't make them any money, I'm afraid it won't be added. 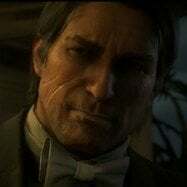 I HOPE it's added... but I've completely lost faith since they didn't say anything about miscellaneous RDR2 Story Mode fixes and improvements. 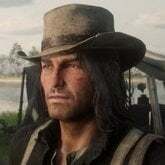 Oh I have faith....this hairstyle will be modded in on PC when it inevitably releases. It’s such a simple add I feel like they would’ve patched it in already if they were going to. Also hopefully someone can change his eyes back to brown instead of baby blue. Single Player.exe not found. Return to Red Dead Online. Nah, I don't like It in there either. So strange, they've changed It so much, the sand and rocks are redish and vegetation so green, in RDR1 It was beigeish and yellowish sand and rocks with dry green yellowish vegetation. NA looks more like mexico in rdr2 besides near McFarlane's ranch. Also, NA seems so dead in all aspects. Yeah, I don't see this "baby blue" eyes either, It's like a dark greenish. Didn't bother me as much as the hair. I've figured out why John's gloves are oversized. Rockstar replaced the model with that of the yellow worn working gloves he wears while building BUT made them even bigger and weirdly shaped. Rockstar logic at its finest. Or just disable your internet and wait for us to give you the unfortunate news. After combing through videos, I noticed that the day one patch wasn't so perfect after all! It's what introduced the change in John's gloves. Also, I figured out how to post proper images. Yay! did they seriously downgrade the graphics with updates? what the f*ck is wrong with them? 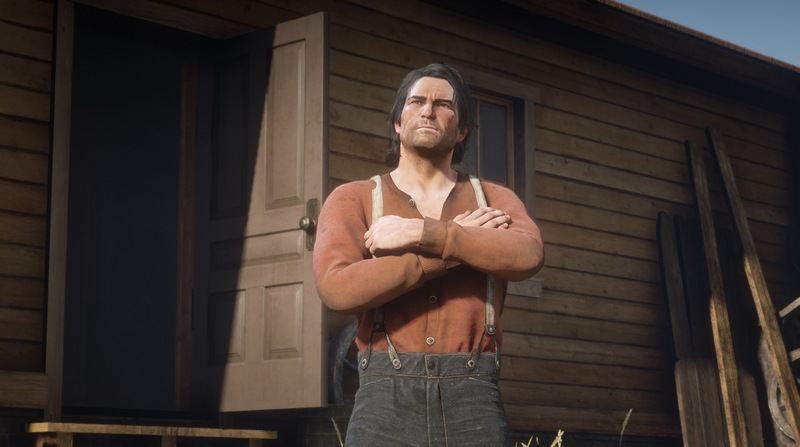 I've noticed something.... John's oversized gloves are a PERFECT fit for Arthur's big arms. This just keeps getting weirder. To be honest, RDR2's performance is pretty good for my old fat PS4. The only time I hear the fan -jet engine- start is usually when I inspect items in first person or when I go to the trapper. 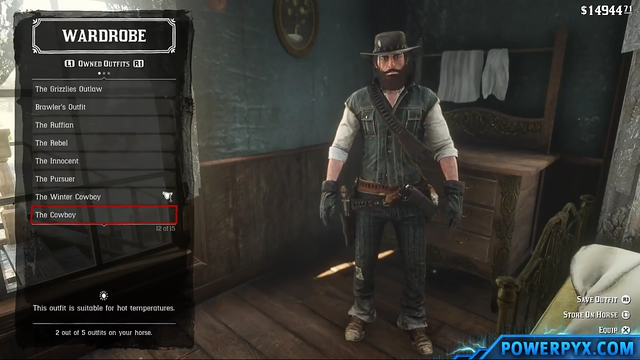 cool, maybe they planned that Arthur should have perfect fit gloves too, but scrapped them in process.. than later maybe they decided to add them again, but messed it up.. we should wait for next update, they probably work on something.. But the problem is, NOTHING got improved with the downgrade. In fact, everything got WORSE. The game is designed for the old systems anyway and the day one patch even though it wasn't perfect, had the correct lighting and a more lively world. It was only when the stupid Online update dropped that everything went to sh*t with NO improvement in framerate whatsoever to compensate and the next two updates breaking things left and right in single player. They did the same thing with GTA V so it's not a hardware issue, just sh*tty coding that isn't checked for any negative effects on single player due to taking too long to do. 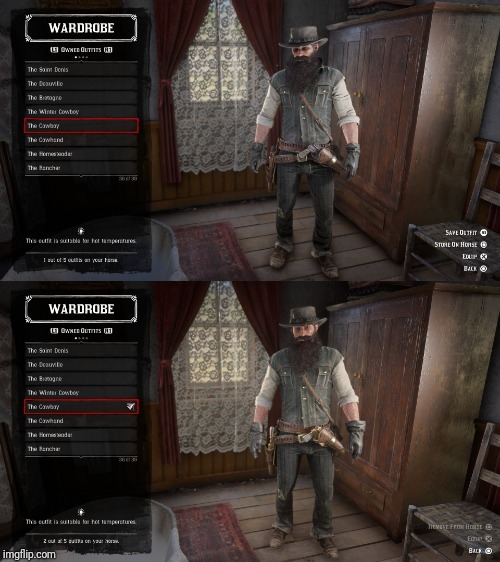 Let us make it so that particular shirt isn't available outside of a glitch and even then your not allowed to save it to your wardrobe. Oh and the pants he wears at camp are only available to be worn at Pronghorn Ranch. Why? 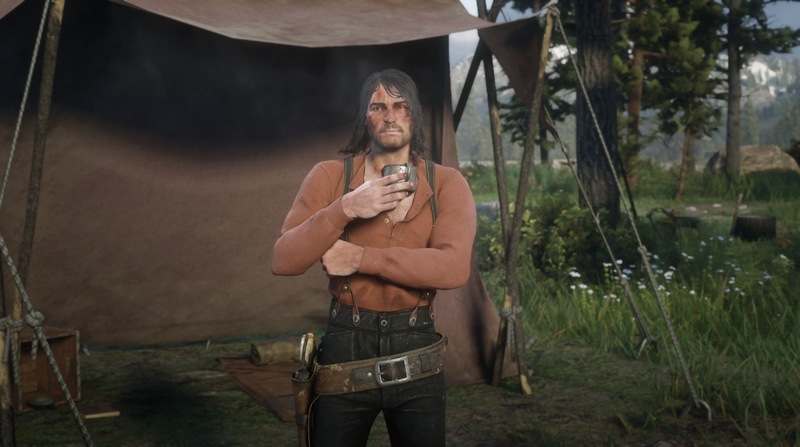 Cause that's the way it is boah. That's the way it f*cking is. But the problem is, NOTHING got improved with the downgrade. In fact, everything got WORSE. The game is designed for the old systems anyway and the day one patch even though it wasn't perfect, had the correct lighting and a more lively world. It was only when the stupid Online update dropped that everything went to sh*t with NO improvement in framerate whatsoever to compensate.